Are Big Corporations Good for The World & Our Well-being? Home/Blog, Uncategorized/Are Big Corporations Good for The World & Our Well-being? Today we know that corporations, for good or bad, are major influences on our lives. For example, of the 100 largest economies in the world, 51 are corporations while only 49 are countries. In this era of globalization, marginalized people are becoming especially angry at the motives of multinational corporations, and corporate-led globalization is being met with increasing protest and resistance. How did corporations ever get such power in the first place? What was the impact of giving corporations the same right as individuals in 1886 in the United States? Large, transnational corporations are becoming increasingly powerful. 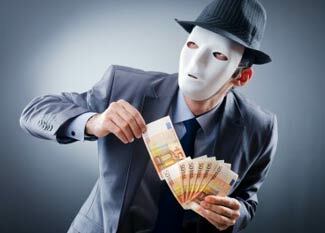 As profits are naturally the most important goal, damaging results can arise, such as violation of human rights, lobbying for and participating in manipulated international agreements, environmental damage, child labor, driving towards cheaper and cheaper labor, and so on. Multinational corporations claim that their involvement in foreign countries is actually a constructive engagement as it can promote human rights in non-democratic nations. However, it seems that that is more of a convenient excuse to continue exploitative practices. For example, while the effect of human activity on the global climate is hotly debated, physical signs of environmental change are all around us. Some scientists predict that a warmer climate will trigger more violent storms, which will cause increased rates of coastal erosion. Rising sea levels are also expected to speed up coastal erosion. Yet, many people do not acknowledge that earth changes are real despite the obvious all around us. Is this ignorance or purposeful denial? Are some big businesses knowingly manipulating the facts to selfishly protect their own agenda and special interests instead of being good corporate citizens? You bet. Genetically modified ingredients are deeply embedded in the global food supply, having proliferated since the 1990s. Most of the corn and soybeans grown in the United States, for example, have been genetically modified. The alterations make soybeans resistant to a herbicide used in weed control, and causes the corn to produce its own insecticide. Efforts are under way to produce a genetically altered apple that will spoil less quickly, as well as genetically altered salmon that will grow faster. If we mess with nature, will it mess with us? It already has and will continue to do so. Nature is intelligent and does not look upon our meddling as favorable to it’s long term survival. (On the GMO issue, Monsanto has been in the news a lot lately. They sue farmers who didn’t plant biotech seeds, but had a bit of pollen blown into their fields. U.S. wheat farmers are facing bankruptcy because GM wheat was discovered growing in their fields in Oregon). 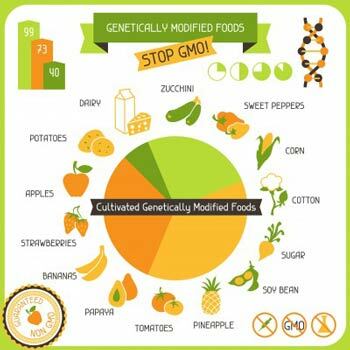 The Food and Drug Administration, as well as regulatory and scientific bodies including the World Health Organization and the American Medical Association, had deemed genetically modified products safe. These are the same folks that are neck-deep in the world of legal drugs. The pharmaceutical industry is a business. This banal and obvious fact needs emphasizing because it is often forgotten or overlooked by both supporters and critics of the industry’s ethics and activities. And the industry itself is happy to downplay its true motivations where this suits the circumstances. It can, for example, pose instead as educator, charity supporter, health service provider and even patient advocate. [custom_frame_left shadow=”on”] [/custom_frame_left] The wealthiest 1 percent now control 39 percent of the world’s wealth, and their share is likely to grow in the coming years, according to a many reports. The world’s total private wealth grew 7.8 percent last year to $135 trillion, according to the Boston Consulting Group’s Global Wealth report. The top 1 percent control $52.8 trillion, and those worth $5 million or more control nearly a quarter of the world’s wealth. Meanwhile, world-wide middle-wage jobs have been gutted, forcing some of the people who used to hold those jobs down the pay ladder. That, in turn, has shoved some off the ladder entirely and into poverty. Globally in many countries, unemployment has gone up. In general, income inequalities have grown. The rich are getting richer and the poor, poorer. Why? Income inequality between CEOs and workers has consequently exploded, with CEOs last year earning 209 times more than workers, compared to just 26 times more in 1978 — meaning CEOs are taking home a larger percentage of company gains. That trend comes despite workers nearly doubling their productivity during the same time period, when compensation barely rose. Corporations don’t commit abuse and atrocities. People do. Unfortunately, the CEO’s and management of these entities are rarely punished for atrocities committed against those who have been victimized in the course of their business practices. Once people lose confidence in the integrity of the judicial branch to enforce laws that benefit people not corporations, democracy itself is in jeopardy. Corporate malfeasance is thriving, and we continue to see on a daily basis corporate executives taking advantage of their workers and consumers alike. We witnessed massive bailouts at the end of the Bush presidency and at the start of the Obama presidency and yet we accept the fact that roughly half the profits made by investment banks were distributed to the senior partners – not to the employees or the stockholders. The taxpayers bailed out the banks and returning the favor, the banks threw folks out of their homes. And they got away with it. 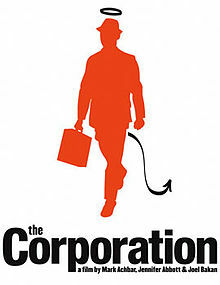 I saw a film a number of years ago called ‘The Corporation’ — a documentary which examined the modern-day corporation, and evaluating its behavior towards society and the world at large as a psychiatrist might evaluate an ordinary person. The film’s assessment is done via psychiatric diagnostic criteria and compares the profiles of some contemporary monolithic business corporations to that of a clinically diagnosed psychopath. The Corporation attempts to compare the way corporations are systematically compelled to behave with what it claims are the textbook symptoms of psychopathy, i.e. callous disregard for the feelings of other people, the incapacity to maintain human relationships, reckless disregard for the safety of others, deceitfulness (continual lying to deceive for profit), the incapacity to experience guilt, and the failure to conform to social norms and respect the law. There is a deep divide on these issues in every country. I see these opposing viewpoints as a world consciousness split right down the middle — the extremes of position represent those who crave power and profit over the welfare of the planet and their fellow citizens and those who don’t. To me, it’s a values conflict. Learn more — buy books and attend seminars in the subject areas where you may have an information gap. Read online information that is not corrupted by special interest groups. Dig deep. Hold on to the *core values you hold dear. Don’t let anyone make you doubt what you know is good, worthy and common sense. Many big corporations do a lot of good. It’s the one’s that cross the line of human decency that must be stopped. If you feel the same way and think that you are alone, you aren’t. There’s lots of us around. In fact, millions world-wide. *Core values are the guiding principles that dictate behavior and action.